That whole corner-office-to-the-Oval-Office thing isn't working out particularly well for President Donald Trump, at least among his CEO peers. Several business leaders have quit the president's manufacturing council since Monday in the wake of his lukewarm response to racist violence in Charlottesville, Virginia over the weekend. Merck (MRK - Get Report) CEO Kenneth Frazier was first to pull the plug, followed by Under Armour's (UA - Get Report) Kevin Plank, Intel's (INTC - Get Report) Brian Krzanich and, in a tweet on Tuesday, Alliance for American Manufacturing president Scott Paul. AFL-CIO president Richard Trumka quit on Tuesday evening, and former AFL-CIO deputy chief of staff Thea Lee said she would do the same. Tesla's (TSLA - Get Report) Elon Musk and Disney's (DIS - Get Report) Bob Iger dropped out of a strategic and policy forum to the president in June following his decision to withdraw the United States from the Paris climate accord. Since-ousted Uber CEO Travis Kalanick quit the council over employee backlash in February. Trump addressed the CEOs quitting the manufacturing council in a tweet on Tuesday, though he did not mention them by name. "For every CEO that drops out of the Manufacturing Council, I have many to take their place. Grandstanders should not have gone on. JOBS!" he wrote. He attacked Frazier, the first to quit the council, on Twitter on Monday. It is not clear which CEOs are interested in filling the now open spots on the council. Trump has yet to fill hundreds of key roles in his administration. Some executives have affirmed their commitment to stay in -- Dow Chemical's (DOW Andrew Liveris, Blackstone Group's (BX - Get Report) Stephen Schwarzman -- while others have remained conspicuously quiet, including General Motors' (GM - Get Report) Mary Barra and PepsiCo's (PEP - Get Report) Indra Nooyi. Walmart (WMT - Get Report) CEO Doug McMillon in a statement to employees on Monday made public on Tuesday said Trump over the weekend "missed a critical opportunity" but had taken a "step in the right direction" with his later remarks. He made no mention of his place on Trump's economic council. JPMorgan Chase (JPM - Get Report) CEO Jamie Dimon in a message to employees said he is "disturbed by the bigotry and violence in Charlottesville" and made no mention of his place on an advisory council to Trump. But it's unlikely he'll abandon it. In April, he compared supporting Trump to flying on an airplane and hoping it won't crash. "When you get on the airplane, you better be rooting for the success of the pilot," he said. Pressure is mounting for other CEOs to follow, especially in light of the president's improvised presser in Trump Tower on Tuesday where he reverted to blaming both sides for the events in Charlottesville. "This conversation is viral in boardrooms right now," Davia Temin, head of New York-based crisis-management firm Temin & Co., told Bloomberg. "No one else? Really?" former Obama speechwriter Jon Favreau asked in a Monday-night tweet. Few dozen CEOs on Trump's councils. Only ones to quit: Kevin Plank, Ken Frazier, @RobertIger, @travisk, and @elonmusk. For a guy like Trump promising his business acumen would translate well into politics, things are not going well. To be sure, the CEO councils are much more symbolic than they are functional. Trumka's statement indicates the manufacturing council has never held a "real meeting." The strategic and policy forum has met on two occasions, in February and April, and has not yet scheduled a follow-up meeting. But Trump likes the CEO meetings. He has spent much of his first months in office hosting various groups of business leaders at the White House for round-table discussions and photo ops, and while the pace of such gatherings has since slowed, he still shows much more interest with publicly engaging with private-sector leaders than his predecessors Barack Obama and George W. Bush. And the CEOs, of course, in meeting with Trump and joining his advisory councils are able to curry his favor. IBM's (IBM - Get Report) Ginni Rometty, who sits on the economic council, rolled out a veterans jobs announcement at the White House in March. An IBM spokeswoman did not return a request for comment on Charlottesville or her place in Trump's advisory council. 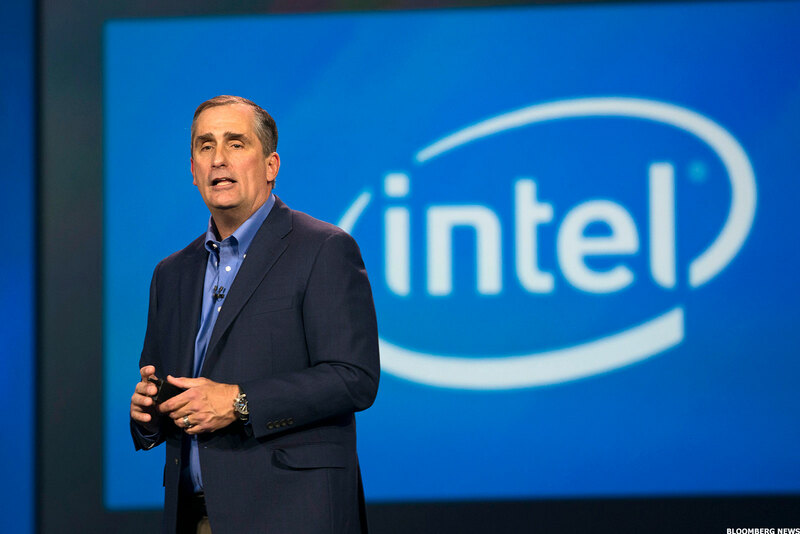 Intel's Krzanich made a jobs announcement in the Oval Office just six months ago in February. Saudi Arabia pledged $20 billion to Schwarzman's Blackstone for an American infrastructure project while Trump was there for his first overseas visit. Kevin Warsh, a visiting fellow at the Hoover Institution and former member of the Federal Reserve's Board of Governors who sits on the economic advisory council, is said to be one of the names in the mix as the next head of the Fed, alongside Gary Cohn and Janet Yellen. The president on Monday attempted a do-over of his reaction to Charlottesville and delivered more forceful remarks from the White House. "Racism is evil," he said. "And those who cause violence in its name are criminals and thugs, including the KKK, neo-Nazis, white supremacists and other hate groups that are repugnant to everything we hold dear as Americans." But the events that followed largely rolled back any gains made. He followed up the remarks with a complaint about the media's coverage of his reaction on Twitter and retweets of an alt-right figure who pushed the Pizzagate conspiracy and a since deleted train running over a CNN reporter. At the Tuesday press briefing, Trump drew a moral equivalency between white supremacist and neo-Nazi protesters and those protesting against them. "You had a group on one side that was bad. And you had a group on the other side that was also very violent," he said. He also noted that the white nationalist group of protesters had a permit. For a guy who wants corporate leaders to keep backing him, Trump seems dead set on making it as hard as possible for them. - Updated with Paul, Trumka and Lee resignations and McMillon statement. Removes reference between Pruitt and Liveris after Associated Press corrected original story. Warren Buffett Bailed on GE Stock, Should You Too?